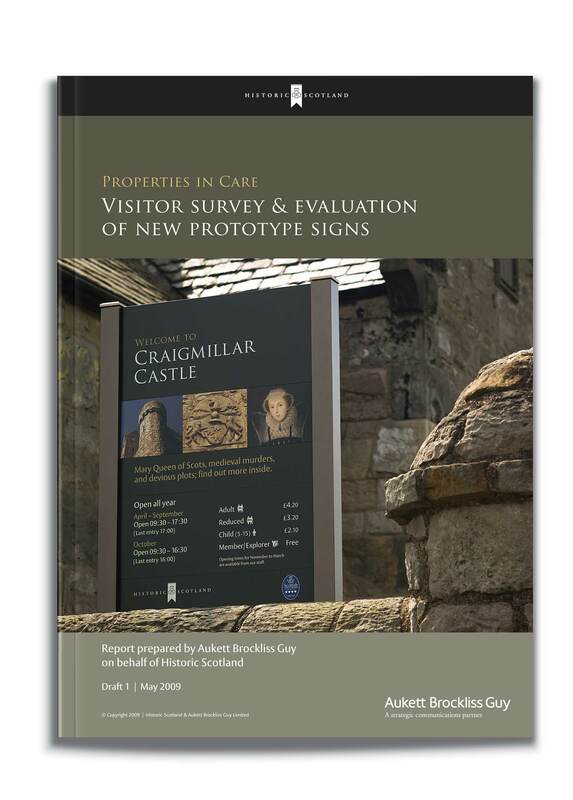 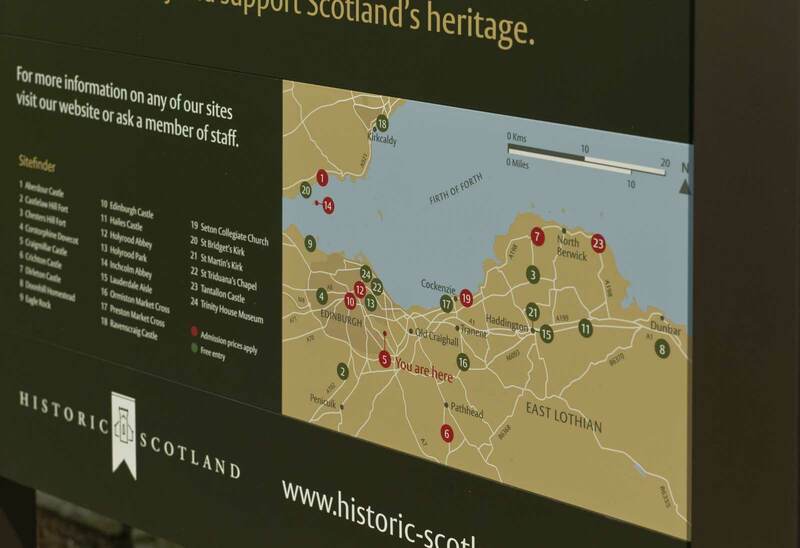 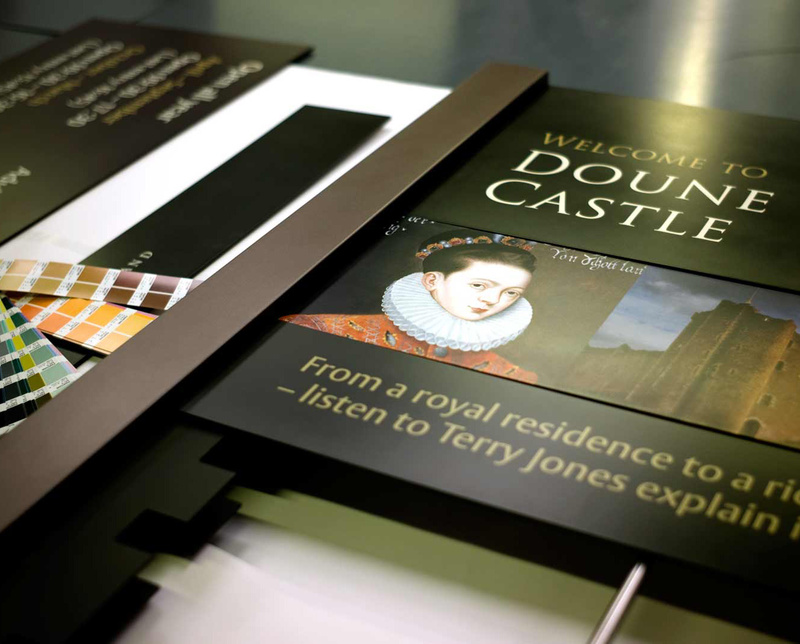 ABG Design created the signage and interpretation strategy to reflect the heritage of Historic Scotland’s 300 Properties in Care. 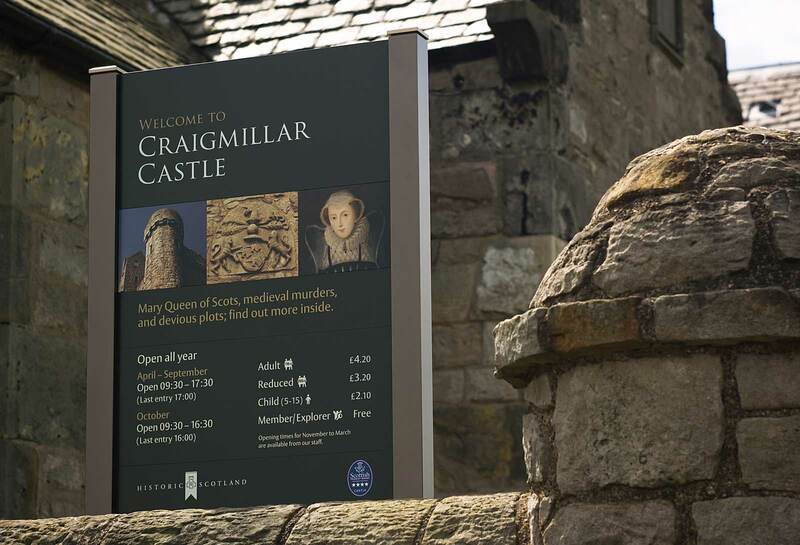 Craigmillar Castle, famous as a royal retreat of Mary Queen of Scots, was amongst the first of the sites to see the new scheme installed. 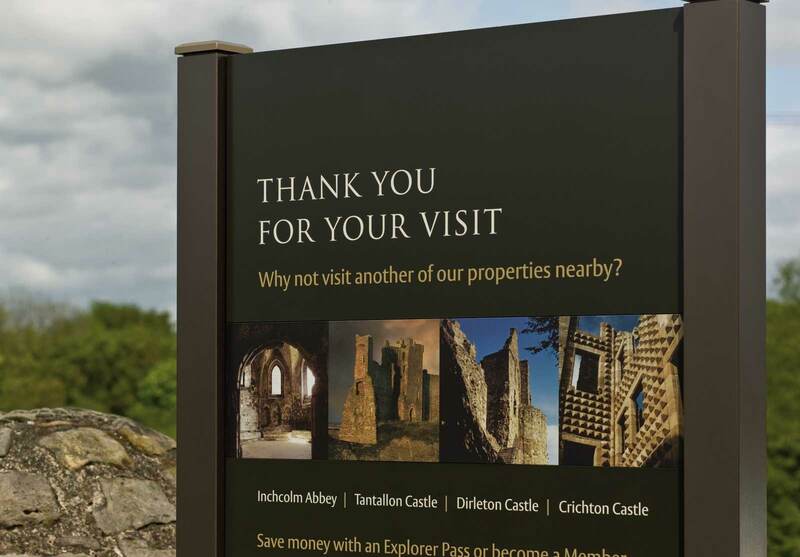 Attention to detail, impeccable build quality and an architecturally complementary colour palette has received glowing endorsement, verified by visitor research findings.